"How about a game of bingo with real people?" Game Goal: Buy cards using virtual money and participate in Bingo games in order to earn money. How to Play: You'll need to shout out when you complete a row and "Bingo" when you complete an entire card. Don't call out before you're ready! Game play: Choose between 90-number or 75-number Bingo. Play online with users from all over the world. Installation requirements: A minimum of 46.74 MB of free memory space and Android 2.3.3 or higher. 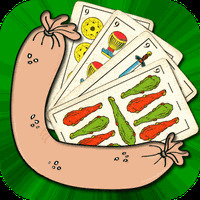 Rating: The TOP 5 Most popular games in Bingo Games category. Dynamic game and very entertaining. A good Internet connection is necessary. The gameplay itself is very simple. However, you can always check out YouTube for videos with more information on how to play. Do you like Bingo Crack? Get this bingo game for your phone! 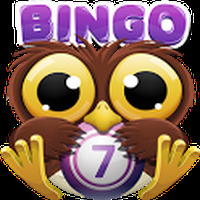 The bingo fun on your Android! This is the ideal bingo game for some Halloween fun!